Buy SweetFiction a Coffee. 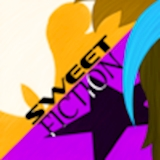 ko-fi.com/sweetfiction - Ko-fi ❤️ Where creators get paid by fans, with a 'Buy Me a Coffee' button. Hello Everyone! Our names are Nick & Cyan Crotser You might know us from our portfolios on art sites such as Weasyl or SoFurry, you may even be familiar with Nick from his previous work on the underground comics Law of the Stars or Sam & Molly. We are a husband and wife team of artists who will be using Patreon for those who are willing to support our continued work, as well as be able to listen to and value the opinions of any who contribute. Secured Payments. Support goes to SweetFiction's account. Upgrade SweetFiction to a yearly Gold Membership with a one-time payment.